There is an untamed space between the science of learning and the unpredictable, messy complexities of life. As educators, we continually reflect on our ability to provide the momentum, the point at which these two realities converge (and in some cases collide) for our students. One’s own ability to prepare the “space” where learning and life converge is tailored and fostered by us, the educator. We also are human and with our own values and experiences. Therefore it is the educator that crafts the environment, which fosters deeper learning in our kid’s lives five out of seven days a week. Okay, okay: so I’m picking up what you’re putting down. I want this but how do I do it, where do I begin and can I do it alone? Is it happening in my school? Will my team or principal support me? What resources do I need or have already? If these are the questions running through your head right now – you are right on point. Many teachers begin their journey into project-based learning (PBL) without realizing they are already immersed in project-based work. It starts the same for everyone, including our students, with an issue or challenge they want to address, solve or find the answer for. You start your project in the same way you want your kids to start: with a challenge. We all want the step-by-step playbook for PBL. Tell me exactly what I need to do every day and I will do it. 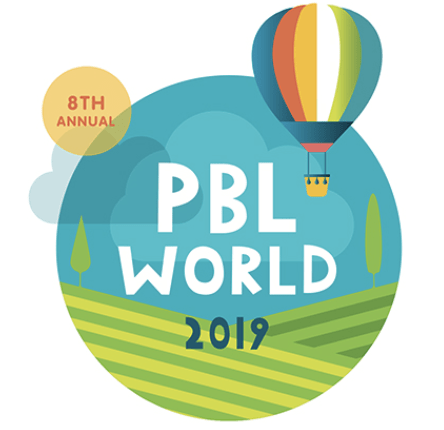 But PBL is the untamed space between the art of teaching and learning and the place we call life. There is no rule book or exact science to PBL. People approach their own challenges in novel ways but one thing holds true: the problem-solving process. Do you now have a pit in your stomach? Or are you rolling your eyes out of frustration? You might be engaged in PBL if you are simmering in ambiguity right about now. You see the first step in PBL is having an authentic challenge. A challenge that no one readily has the answer to. If your students can answer the challenge and there is no ambiguity, then the challenge is too easy. An authentic challenge is a convergence between real world challenges, your content and what’s important and relevant to your students. Hold onto the thoughts and feelings you have right now because this is how you want your students thinking and feeling. Jill Ackers-Clayton is a founder of Project ARC and has lead teacher training for PBL across the country. Follow her on Twitter: @IBPBLJILL. Jill, I love this article. It really hits the problem teachers have with PBL. Is it here to stay? Can I make a commitment to it and not have my feet knocked out from under me? Where do I get ideas for projects? Are middle schoolers able to choose for themselves? Thanks for giving us the questions. I look forward to the answers. Great question and great to hear from you! I look forward to seeing you next month. Together, we both know the challenge of creating the “right” project that meets all our educational needs. The heart of a really good project stems from the trifecta of complex, relevant and authentic work. Complexity is the growth from the content, authentic is the “real” connection and relevant is the personal and present connection a kid has to the work. If we can brainstorm (use something like open-narrow-close to train kids to brainstorm in a healthy way) those three and look for real, complex ideas that are kid-friendly we can generate project ideas that are viable in our classes.